Deciding to pack all your belongings and move to another country is always challenging and stressful. The unknown is scary and sneaks up on you with many insecurities, like "will I fit in? will I make any new friends? will I find my dream job?". It's never easy to take fate in your own hands and just go for it, however while you may never know how things end up, it's so satisfying to try. The rush of starting over fills you up with motivation and happiness. This isn't my first "rodeo". Seven years ago, a young and much more naive me moved to Vienna for studies. It was a time of growth and fun, of anxiety and challenges, yet full of wonderful moments. Two years ago it was time for another change, a new country, but before settling in the next destination, I had a period of going back and forth with Vienna, Bucharest and Maribor. Then it was finally time for my dream city. At the end of high school, I wanted to study design and was considering Milan, the city of fashion, style and fabulousness. Sadly, at the time I didn't speak the language, but fate always has a way of granting your wishes. As luck would have it, over a year ago, I moved to Milan to start over again. After experiencing the good, the bad and everything in between, it was time to hop on a new adventure. 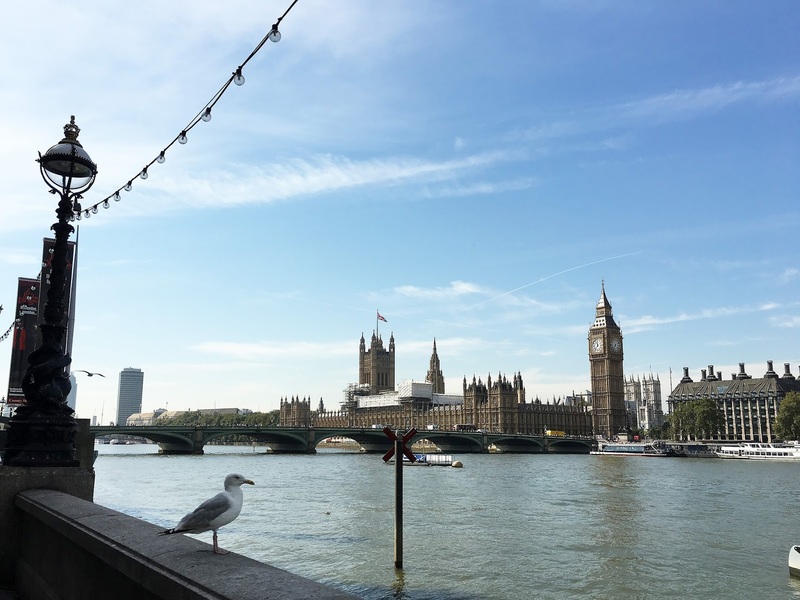 Last September I visited London and shared with you, in multiple posts, how in love and taken I was by this energetic city. Something clicked and I can happily share with you, that I moved to London. I'm new to the city and still exploring its beauty. Hopefully I will meet a lot of you British bloggers and international bloggers living in London. If any of you would like to meet up for coffee let me know, it would be so fun to get together with like minded people. So exciting! Thanks for sharing!! Yes, I'm very excited for this new chapter Rebecca! My friend just moved here as well! Enjoy! I wish you a great start to your new beginning! Moving in a new city is definitely scary but it's also exciting to chase your dreams! Good luck honey! London is such an amazing City,I spend there somuch time. I wish you all the best and hope your new chapter in your life (there) will be amazing. Thanks babe, maybe we'll meet for coffee next time you're in town! Congratulations on the move! That's so exciting! I admire your bravery/ability to move countries like that. So inspiring! Thank you Lea! Where would you like to move if given the chance? It would surely be an amazing experience. Wow you are so inspiring! Congrats on the move and I wish you all the best on your new adventure in London! Girl, that's awesome that you've braved starting your life over in a different county, not once, but quite a few times! I know at first, like you've said, it must be scary, but it shows that you're capable and always adapt. Thanks for sharing and I hope you have a great rest of the week!